Amazon.com description: Product Description: One moment - eleven lives - endless consequences. Xavier Ireland is a radio DJ who listens to the hopes, fears and regrets of sleepless Londoners. Then one day he is forced to confront his own biggest regret. This is a tale of love, loss, and Scrabble - asking questions about life and death, strangers and friends, heartache and comfort, and whether the choices we don't make affect us just as powerfully as those we do. This recording is unabridged. Typically abridged audiobooks are not more than 60 per cent of the author's work and as low as 30 per cent with characters and plotlines removed. 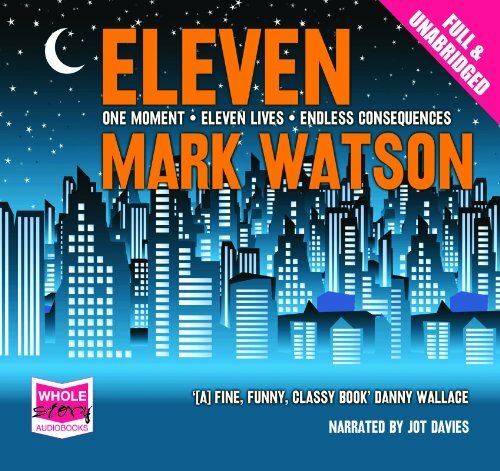 About: One moment - eleven lives - endless consequences.